Life without inspiration can be likened to a song without a melody. So, what’s a better moment to inspire someone you love than on a day of celebration? 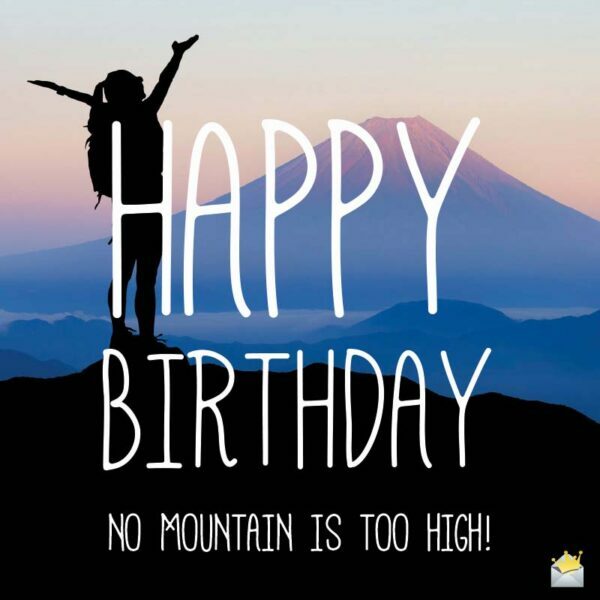 That said, here are some truly inspirational happy birthday wishes you can send to your daughter on her big day to inspire her to strive for greatness in life instead of settling for mediocrity! The thing that separates great people from ordinary people is that great people aren’t afraid to fight for what they believe in, so don’t be afraid to stand up for what you believe. If a bird or a cat isn’t afraid to face the world on their own, then neither should you be. Have yourself a really delightful birthday. We were all born with the right to enjoy peace, love and prosperity, but we also have to pay our dues before we are granted these elusive benefits. Happy birthday, sweetheart. One of the greatest flaws in your thinking is the belief that you need someone else’s attributes to succeed while simultaneously neglecting the ones you already possess. Have a great birthday. My dear, celebrate your big day today, knowing that many of the greatest figures in the history of the world came from backgrounds that most of us would be absolutely afraid to endure. I want you to make sure whatever happens you never develop a bad reputation because when a person loses everything in life the only thing they have left is their name. Happy Birthday. No mountain is too high. There are two things which no man can take from another – his health and his education – so I want you to focus extra attention on these areas of your life. Happy birthday, my darling daughter. So proud to be your father. Ultimate victory is not given to those with the most resources but rather those who never give up. As you celebrate your big day, promise yourself to never give up in life. Darling daughter, whenever I look at you, I see a beautiful young woman destined for mesmerizing greatness. Happy birthday, my dear. Happy birthday, sweetie. I cannot tell you that building the home of your dreams is going to be easy, but I can tell you that you already possess all of the necessary materials. When you’ve reached the boundaries of your endurance, self-esteem and faith, I implore you to still push on, because no one knows the limits of your strength except the Creator. Small children, who have no education, money or jobs, are more confident than most of us adults, so whenever you feel lacking in confidence you should considering observing them. Just as you always brag about the things you would accomplish if you were me, I also feel if I were you I would already be one of the greatest people on earth. The only people incapable of achieving their dreams are the deceased. So long as you are alive and aware, you can achieve the desires of your heart. Darling, you are more than average; you are a one-woman organization, corporation, government and religious institution. The things that I have seen you do without any extraordinary effort or concern have convinced me that if you ever put your full strength into your endeavors, your achievements would amaze the entire world. Whatever path you take in life, I know you will be better at it than anyone who has ever preceded you. May your birthday be as beautiful as you are to the eyes of my soul. 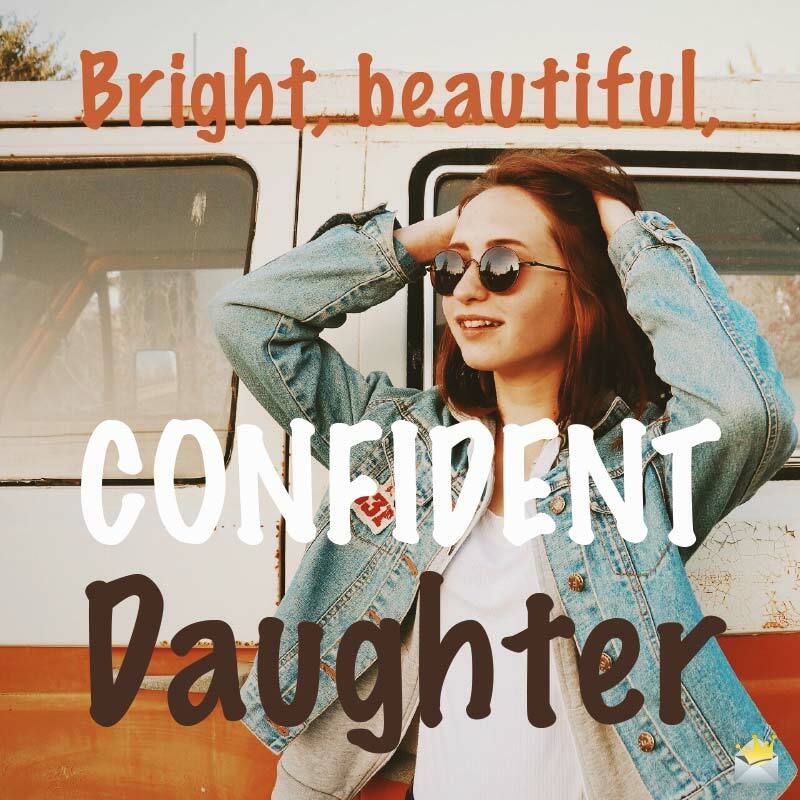 Dearest daughter, God has embedded within you the potential to do great things, but you are tasked with the burden of extracting and developing those talents. Have a blissful birthday. 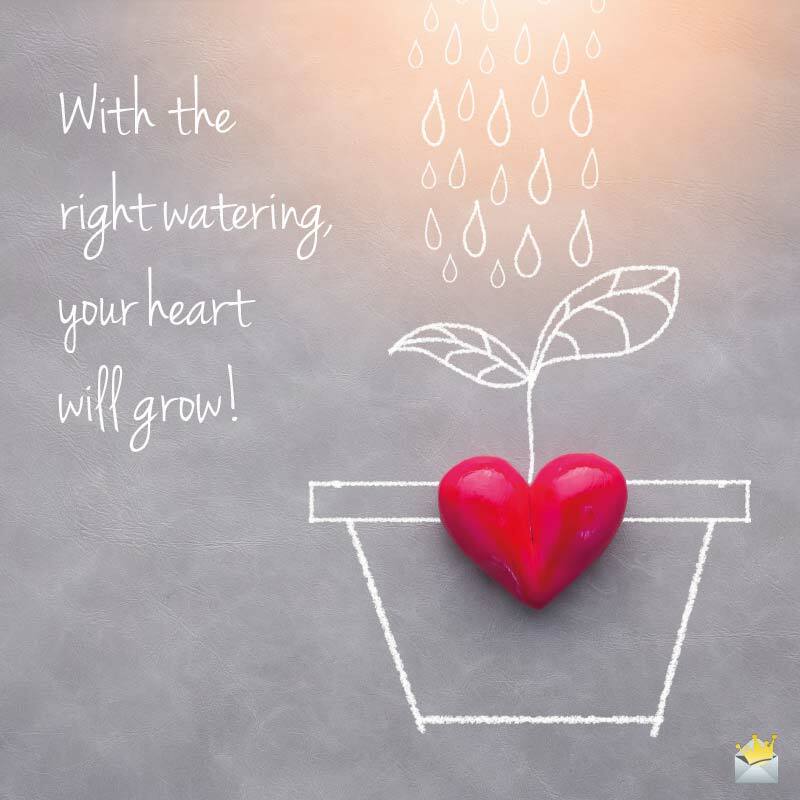 With the right watering, your heart will grow. Once you have unshakable faith in yourself, no obstacle in your path is unconquerable. Always remember this, my beautiful daughter. You can reach your goals through the consistent application of hard work, perseverance and faith. Even if you don’t receive the praise that you deserve, everyone is cognizant of the good that you are doing. Whatever you do, let it be what you think is genuinely best for you and not to achieve the goal of impressing others. I will always love you, my dear. The one thing you hate doing the most is likely the next step you need to take in fulfillment of your destiny. Wishing you a truly spectacular birthday celebration. Please, don’t ever try copying your way to success but instead bless the world with the unique gift of individuality that you bring. Whatever setbacks you have faced yesterday, I implore you not to give up on today, or else it’s like you are suffering from two defeats at once. I hope that you are blessed with increased wisdom as you pursue your entrepreneurial aspirations. Happy birthday, beloved daughter. Sweet daughter, even though you’re always hard on yourself about your shortcomings, you are already an inspiration to me. I believe you are capable of greater things, darling. Just believe you are capable of them and your accomplishments shall astound everyone. I believe if you work hard and stay focused, what you achieve will be even greater than what you are imagining success to be. Have a great birthday. As you go out in search of success, go with the confidence that if you are ever in need of assistance I will be there to give you a helping hand because you’re my beloved daughter. Bill Gates was once an unassuming, inconspicuous person just like you, so as for me, I do not doubt your potential. I envision your future as one filled with happiness, wealth and health, but unfortunately I see hard work in your forecast also. Celebrate this great day of your life, knowing that you are not only special but you are also the solution to the problems a lot of people in the world are suffering from. I can invest in your success with more confidence than putting money in the bank or stock market. That’s how much faith I have in you and your abilities, dearest. Whatever you go through in life, I want you to think positively, with the assurance that the ultimate outcome will be in your favor. On your birthday, I need you to know that I won’t always be around to advise you, but wherever you go, always remember my prediction that the unignorable manifestation of your greatness is imminent. Don’t be one of the people, who on their last day, looks back at life and wishes that they had tried harder. Have a great birthday and life, my dear. In you, I see a smart, beautiful, young woman destined for astonishing success in life.